Régie Libanaise des Tabacs et Tombacs (Régie) will open a water pipe tobacco (Tombac) processing plant in Batroun, to be completed in 2020. Régie has allocated 5,000 square meters for the project in a building it owns in Batroun. The German-based company, Von Eicken, won a tender last year to equip and operate the new factory, and market its products, under Régie’s supervision. Von Eicken will invest around $10 million to install two production lines. “The same amount will be invested in further stages to add another two lines,” said Tony Akiki, Project Manager at Interproduction, which Von Eicken established in Lebanon for the project. Von Eicken will manufacture its own tombac brands, such as Mawwal, as well as other companies’ brands such as Jordanian Mazaya. “Negotiations are ongoing with other international companies to manufacture their brands locally,” Akiki said. 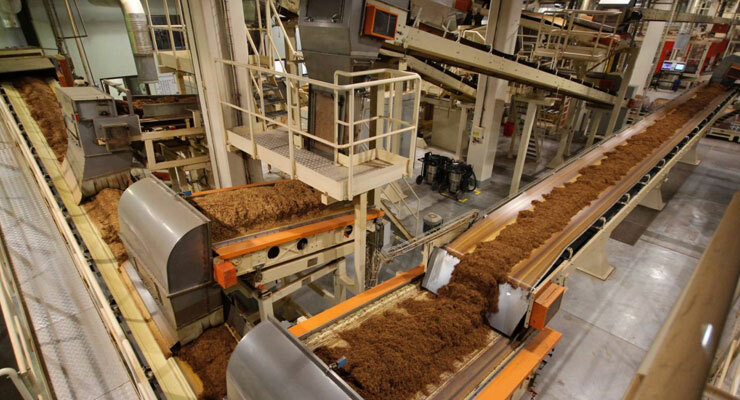 Production capacity is projected to reach 100 tons of water pipe tobacco per month. “We will start producing at only 20 percent of capacity as a start. We expect to reach full capacity within three years,” Akiki said. Production will be distributed locally and exported. The project will initially create around 50 full time jobs and more than 200 jobs when operations reach full capacity.